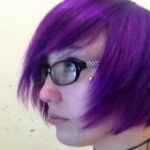 Zoe Quinn, indie game developer (Depression Quest, Crystal Crashers, Super Street Fire), has headed up an effort to create a Game Developer Help List. On December 16th, she tweeted an open call for established/veteran game developers who would be willing to help out game developers who are just starting out. There is now a shared Google doc with nearly 300 contributors. The interest was so great that Google thought the activity on the spreadsheet was a DDoS attack and temporarily blocked access to the spreadsheet. Evenually, Zoe wants to create a website (gamesareforeveryone.com) that will host all this information in a more permanent place. Other good resources for up-and-coming developers are PixelProspector, HobbyGameDev, and GameCareerGuide. You can view the list here and follow Zoe on Twitter here. Nerdy but Flirty is on the press list, and we’d love to help out indie developers any way we can!